I've purchased exactly one thing from Walmart in nearly 20 years—a microwave pizza. I did that in the Natchez Walmart, after Donna had left me stuck in a hotel room for hours while she was out on a reporting field trip, apparently forgetting that I was across the river in Vidalia, La., with no car and no restaurants or convenience stores within walking distance. My avoidance of Walmart is a conscious choice. I believe that Walmart has done more to undermine the local economies of American cities than any other single institution, so that belief drives my actions. From depressing wages to the de-facto destruction of downtowns to encouraging American manufacturing to move overseas, the Walmart model is a juggernaut that has absolutely helped to put us—particularly our small towns and rural-to-suburban areas—where we are today. I do shop in some chains—Target, Stein Mart, Office Depot (on an emergency basis), Kroger (they carry the ridiculously pricey refrigerated food our cats require)—but I avoid them as much as possible and try to choose a local outlet when I can reasonably do so. McDade's, Montgomery Hardware, Beemon Drugs, Rainbow Co-Op and a variety of others are on the shop-frequently list; for buying gifts and dining out, I pretty much stay away from places that I could easily visit in another city. For the most part, it's not worth the time. In shop-local circles, that's generally branded as "Think Local First" with the idea being that if you can shift even a small percentage of your shopping to local independents, you're helping to improve the local economy and bringing awareness for yourself and others to the benefits of local shopping. What are those benefits? Multiple studies have shown that shopping with locally owned businesses returns $45 (or more) to the local economy of every $100 spent; with chains, that number is closer to $14 or less. What does that mean? It means more employment for one thing—locally owned businesses employ local accountants, attorneys, printers, marketing advisers—and they're more likely to buy from local suppliers. Studies have also shown that it means better jobs, better wages—even healthier cities and a greater sense of citizenship and well-being. One study showed that, frequently, communities never recoup the tax dollars they lose from infrastructure improvements and tax abatements they use to woo big-box retailers. There's a myth associated with "all those jobs" the big box will provide—at least until it leaves its big, hulking building behind and moves to another county, taking those jobs with it. Alternatively, successful local businesses help us build and keep wealth in our community—instead of shipping the profits to places like Bentonville, Ark. That wealth can then be re-invested in other new businesses, local real estate and development, and that money can re-circulate as loans and mortgages for people. While not every local wealthy person will necessarily have an egalitarian streak for fellow citizens in the Jackson metro, they're certainly more likely to than one holed up in Atlanta, Seattle or Minneapolis. There's certainly the very real possibility that local business owners are more accountable—they live here. You see them on the street or in church or picking their kids up from school. If you need or want or ask them to do something, at least you have that opportunity. One other thought—spending more of our dollars with independent businesses is really the only way we're going to see more "Made in U.S.A." stickers on our goods. It's not a one-to-one relationship; a lot of local businesses will still source their inventory from overseas. But all of the other factors discussed—local wealth and investment, accountability, authenticity—all lend themselves to the possibility that we could see a resurgence in our national economy brought on by a bunch of local economies doing more of the right thing. 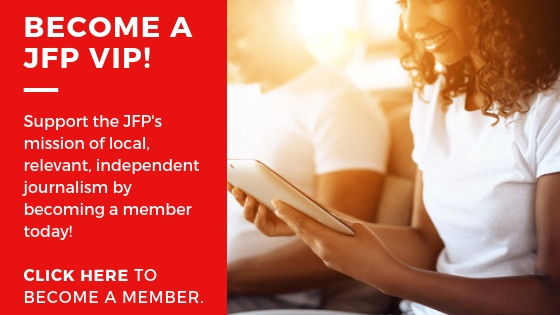 And that brings me to this issue and the JFP's first attempt at observing "Independents Week," a national celebration of independent businesses that is facilitated by the American Independent Business Alliance (AMIBA.org). AMIBA encourages promotions around the country ranging from games and contests to educational campaigns and special shopping events—all timed to coincide with Independence Day and to raise awareness about the benefits of shifting some of your shopping to locally owned, independent businesses. 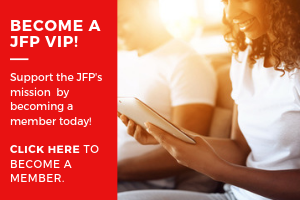 We're celebrating in part with the JFP's "Picture Yourself Shopping Local" contest, which is explained on page 21 and at jxnindyweek.com. The gist of the game is a "selfie" contest in social media—take a selfie of yourself in one of the participating local businesses, and you're entered in a drawing to win a Grand Prize comprised of a package of gift cards from the participating local businesses, valued at $350. Another winner will be the person who gets the most "likes" or votes in our Facebook Gallery for the contest; a third winner will be drawn from people who complete the game card (by taking a selfie in all of the local businesses on the card—or taking advantage of a few "wild cards" to finish off your game card) and submitting it via the jxnindyweek.com website. We're hoping that by working together on a fun contest and game, we can all do our part in social media (and in real life) to promote the idea of shifting some shopping to local, independent businesses during the same time that we celebrate our independence as a nation. We do that, in part, because it's a little bit of fun in anticipation of the holiday; we also do it because supporting independent businesses is a vital way for us to remain independent and vibrant ourselves, as a community. We've promoted shopping local since our very first issue, and this is a way to have even more fun with it. The game starts now on our Facebook page, jxnindyweek.com and via hashtag #jxnindyweek on Twitter or Instagram. Let's do just a little "shifting our shopping" this Fourth of July season and see if we can't all come out a little more "independent" as a result. Todd Stauffer is the publisher of the Jackson Free Press. Email him at todd@jacksonfreepress.com. "What are those benefits? Multiple studies have shown that shopping with locally owned businesses returns $45 (or more) to the local economy of every $100 spent; with chains, that number is closer to $14 or less"
Dont get me wrong, I'm a fan of shopping locally. However, many chains are franchised with many of the owners living right here in our communities. Just a thought before we make all chains out to look like a bad investment for our local economies. Hey JS1976, franchises do offer some benefits in addition to those from corporate owned chains, but it's important to note that many franchises still have stricter rules about who they use as suppliers and how much control they have over the operation of their own business. According to http://www.amiba.net/resources/multip...">AMIBA, franchises fall somewhere between chains and true independents in their "multiplier effect."